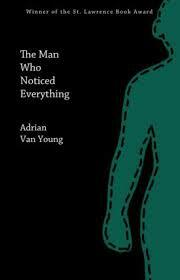 Adrian Van Young’s story collection, The Man Who Noticed Everything, won the 2011 St. Lawrence Book Award from Black Lawrence Press. His fiction and nonfiction have been published or are forthcoming in Lumina, Gigantic, Electric Literature, The American Reader, Black Warrior Review, The Believer and Slate, among other publications. Van Young has taught writing at Boston College, Boston University and Grub Street Writers, in Boston, and writing and literature at the Calhoun School, 826 NYC and the Buckingham, Browne and Nichols School. Currently, he teaches writing at Tulane University in New Orleans, LA, and lives in New Orleans, LA with his wife. In this interview, Van Young discusses monster creation, mall gothic, and genre-benders like True Detective. To read “The Skin Thing” and an exercise on writing one-sentence paragraphs, click here. I love the monster in the story, the actual The Skin Thing. It’s such a simple concept. There’s no origin story, no technical explanation of its mechanics or motives. It’s just a blob that sometimes eats people and sometimes doesn’t. How did you come up with the monster? Did you start with The Skin Thing and write the story around it? Or did you have a sense for the kind of story you wanted to tell and create a monster to fit? Thanks! I was happy with the way it turned out. To begin to answer the first part of your question, the story was solicited by Gigantic Worlds, a terrific anthology of flash science fiction forthcoming from Gigantic Books and featuring a great many writers who I slaverously admire such as Brian Evenson, Laird Barron, Meg McCarron, Alissa Nutting and Adam Wilson, to name just a few. So the genre was somewhat decided in advance. But I knew from the get-go that I wanted to write an alien story and that moreover I wanted the alien itself to be Lovecraftian—a creature that presides terribly over human destiny but from a point beyond human knowing. Of course, when you’re going the Lovecraftian route, you don’t always want to hew to what’s been done, you want to make it new, so I started thinking, as well, about the scariest element of successful horror-inflected science fiction, which in my mind is always the human element. It’s a simple but effective principle. Take the Alien trilogy, for example. In the second film—which also takes place in a ruined space colony on a planet not unlike Oblivia—sure, H.R. Giger’s Xenomorph creature is responsible for a lot of the bloodshed, yet were it not for The Company’s decision to send the colonists and then the space Marines into a potentially dangerous situation or The Company’s decision, via Burke the corporate shill, to harvest a human host for military research, then a lot of what transpires over the course of the story would be moot. Which is a roundabout way of saying that I wanted the true horror in “The Skin Thing” to be not the creature itself but rather—not to belabor the obvious—what the colonists put on the creature and how they react to it in a setting of isolation and privation. Thus came my decision to call the creature The Skin Thing and to have it share with humans the largest and most superficially recognizable human organ: skin. So while the creature is “The Skin Thing” by name, the colonists themselves, whether they want to admit it or not, are doing “the skin thing,” i.e. the human thing— segregation, violence, cruelty, oppression, what have you, which humans have done with remarkable skill since they first crawled out of the ocean, notwithstanding hideous creatures to expedite the process. So I guess you could say that, yes, I tailored the monster to fit the story, more or less. On another level, though, the look of the monster emerged partly from my obsession with Jim Henson Puppet Factory creatures and the like—the painstaking craft that at one point in time went into fashioning grotesque bodies. Guillermo Del Toro, god bless him, carries on the tradition today in film, Laird Barron and Caitlin R. Kiernan in literature. And somewhere in there must’ve been the sandworms from Dune, combined with a sort of eyeless sloth, combined with a terrestrial bat. I was—and am!—a super nerdy and monster-obsessed little kid. After watching Star Wars and Dune, or reading The Tommyknockers and At the Mountains of Madness, all I could think of for days were the monsters. Colonists total: two-hundred and forty. Colonists fed to the thing: thirty-six. Colonists saved on account of this practice (not to mention the onions): one hundred, at least. Life was, for an instant, as right as it could be. Until the matter of McGrondic. Is this style simply the way you find yourself writing? Or did you discover this style in an attempt to achieve a certain voice or tone or effect? That’s an interesting question; I’m glad that you asked. Before a couple years ago though, I think you would’ve found that my fiction trafficked in lengthy, solid blocks of text that scrolled endlessly down the page. And unless you’re Thomas Bernhard—who I sometimes wish I was!— that’s not always going to work, especially with the modern reader. I learned from writers like Denis Johnson and Lydia Davis and Peter Carey, to name only a few, the indelible power of a well-placed one-sentence paragraph. It can just slam you, if you do it right. I also think it strengthens the bridge between fiction and poetry—namely, treating fiction as a kind of long-form, narrative poetry that demands equal if not more attention to rhythm, word combination and line-breaks, as it were. When I myself am writing a piece of fiction I always have a rhythm in my head that I want the words to conform to—so much so that at first I end up choosing words irrespective of precision, allusion or inflection and solely based on whether or not they fit rhythmically into the musical scheme of the sentence. That rhythm can be imprisoning. In drafting, of course, I go back and end up recalibrating the music of the sentence to fit the aims of the words but in the first draft, at least, rhythm is everything to me. One-sentence paragraphs further this sense of rhythm because they each signify a clean break from and a full stop after the sentence before. They also speak with a lovely straightforwardness to the writer’s intent—take note of this sentence!—and serve to move the story along in accord with how a reader’s eye moves down the page and how that eye, in turn, translates those words into brain matter, i.e. image, image, scene, image, scene, scene, image, etc. As you can see, my writing is heavily influenced by film, but at this point I’ve seen so many, how could it not be! This story reminds me a lot of “The Ones Who Walk Away from Omelas” by Ursula K. Le Guin. (It’s also set in a place not unlike the colony in her novel The Dispossessed.) Both stories are science fiction, of course, and they’re both written in first person plural and formal in tone. Both read like myths, though your story has more narrative (I suppose, in that sense, it’s not unlike Shirley Jackson’s “The Lottery”). I’m curious what draws you to this style and form. Are you after that mythic sensibility, and science fiction/speculative fiction is a form that allows for it? Funny you should mention that Le Guin story, because in spite of the fact that several other people had noted a similarity, I’d never actually read it until yesterday when I started answering these questions. It’s a good one—though I think I like other Le Guin better. “Vaster Than Empires and More Slow,” also from The Wind’s Twelve Quarters, is a marvelous space opera that does volumes with characterization and world building in less than 50 pages. Of course, I can see the resemblance between “Omelas” and “The Skin Thing,” though I’d argue that “The Skin Thing” is bleaker. “The Lottery” you’re dead-on with, though. That story was at the forefront of my mind when writing this one. I have always been a tremendous Shirley Jackson fan—We Have Always Lived in the Castle and The Haunting of Hill House rank among my favorite novels—and “The Lottery” is no exception. But the “mythic sensibility” that you cite in Le Guin is something I’m absolutely drawn to as a writer. That sort of epic, indelible quality to the prose, the themes. The writer’s way of saying: this happened. It was terrible, terrible, and it cannot un-happen. Near as I can recall I first encountered that quality in Edgar Allan Poe in stories like “The Fall of the House of the Usher” and “The Masque of the Red Death”—even though he was very much writing out of the 19th century. And then subsequently people like Angela Carter, Cormac McCarthy, William Gay and Annie Proulx, who all riff on 19th-century-inflected modes of speech and storytelling to manufacture their own modern-day myths. Granted this technique can seem hackneyed and super-imposed, especially if you go about it half-assedly, and so I would argue that the more wholly you give yourself over to the high, operatic quality of this kind of storytelling, the more a reader will be inclined to believe you, to go where you’re taking them. You really have to go full ham, I think. Carter does this extraordinarily well in her stories—“The Lady of the House of Love” from The Bloody Chamber, for instance, which is a feminist retelling of “Sleeping Beauty” with vampires in it, and goes so utterly over-the-top that it works. Which is all by way of saying, yes, I think this tone can be well suited to speculative fiction. On the other hand though, you have people like Kelly Link, Victor LaValle and George Saunders who strive to incorporate more banal elements alongside more fantastic ones in their fiction, giving rise to something newer and subtler probably than anything I’m capable of producing. Shirley Jackson excelled in this, too, especially in “The Lottery,” which begins: “The morning of June 27th was clear and sunny, with the fresh warmth of a full summer day…” Or to touch again on Saunders, there is no better descriptor in criticism than the term that’s been used to characterize his early work (CivilWarLand in Bad Decline and Pastoralia): mall gothic. Your story collection, The Man Who Noticed Everything, was published by Black Lawrence Press, an imprint of Dzanc. For a long time, the attitude toward small, independent presses like Black Lawrence has been that they publish the writers whose work is too weird or experimental or nontraditional (whatever these terms mean) for the big publishing houses. But I wouldn’t say that’s entirely true anymore. Your work–and the work of writers like Kelly Luce (published by A Strange Object) and Daniel Jose Older (published by Crossed Genres)–is firmly within some very popular genres, most obviously the speculative fiction of Le Guin and horror of Lovecraft but also what’s sometimes called the New Fabulism of George Saunders, Aimee Bender and, now, Karen Russell and Manuel Gonzales. In short, the big houses are publishing some of the same kinds of fiction as the independent presses–“literary” fiction that is incorporating various genre elements. Do think this is a case of the big houses finally catching on to a style that was discovered and promoted by small presses? Or, are presses like Black Lawrence and Dzanc growing large enough that they now exist in the same sphere as the big houses? Well, given that Black Lawrence recently separated from Dzanc, I guess the last part of that question’s up for debate. Certainly both presses (Dzanc and Black Lawrence) are expanding every day, putting out top-quality fiction, poetry and non-fiction, genre-inflected and not. But I mean, yes, I definitely feel like New Fabulism, as it’s been called, has been inching its way into the mainstream for a couple years now to the point where genre-barriers are breaking down. In my opinion, this is ideal for literature in general. These distinctions between genre fiction and literary fiction, which have been picked over ad infinitum, are essentially meaningless when it comes to quality—and yet they’re incredibly meaningful, too, when it comes to form and tradition insofar as understanding the ways in which various genres work can help one into a greater appreciation for fiction that blurs the lines between them. Ultimately, I think that a more useful distinction exists between commercial and non-commercial, i.e. 50 Shades of Gray vs. The Piano Teacher. But then again, there are some jaw-droppingly adept novels out there that are superficially “commercial”—Gone Girl by Gillian Flynn, for instance—and some jaw-droppingly absorbing novels out there that are superficially “non-commercial”—say, Never Let me Go by Kazuo Ishiguro. I suppose in the end that all of these distinctions are silly, that a really excellent piece of fiction will decimate them forwards and backwards. Yet in the end they’re very human, and they’re useful to us as writers and readers. Distinguishing and discerning between types, after all, is its own form of doing “the skin thing”—it’s just what people do. And while I wouldn’t group myself in with the so-called New Fabulism school of Aimee Bender and George Saunders—as much as I admire those writers—I do think it’s catching on and I’m glad of that. It was wonderful, for instance, to see Saunders receive so much attention for The 10th of the December, which although accessible in some ways is objectively a very bizarre, eclectic collection of stories. As bizarre and eclectic as any of Saunders. All the same, though, I don’t think you could realistically say that Black Lawrence and Dzanc, along with Coffee House, Two Dollar Radio and others, are in the same sphere as the big houses—and this is purely from a standpoint of promotional resources, distribution reach, market clout. The sheer ability that the bigger houses have when it comes exposing their authors, getting their books reviewed, getting their books in bookstores. What is interesting to me recently are the larger houses who’ve embraced the indie model as a sideline—say, FSG Originals, who has been publishing work by ostensibly experimental or genre-bending writers like Laura Van Den Berg, Jeff VanderMeer, Amelia Gray. That goes for Riverhead too (a division of Penguin), who published Manuel Gonzales’ collection. That said, no, I don’t think it’s a case of bigger houses co-opting what was originally promoted by smaller presses. In many ways, I think it just marks a shift in the cultural sensibility at large. Which is to say a shift toward genre-bending, a gleeful sort of category crisis. 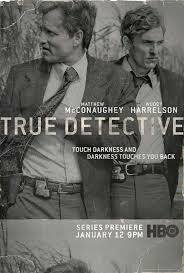 You see it in TV (True Detective), in film (Let the Right One In, District 9), and now in literature. If the 80’s and 90’s were a time for largely embracing the conventions of genre when it comes to narrative art forms, then maybe the 2000’s have been a time for exploding them. You could chalk this up to post-modernism, blah, blah, blah, but in the end I think it just comes down to the fact that people as artists and consumers of art crave ingenuity, and the surest path to achieving that is through hybridization. Everyone loves a good mash-up.